Misha here! Aren’t I just stunning? 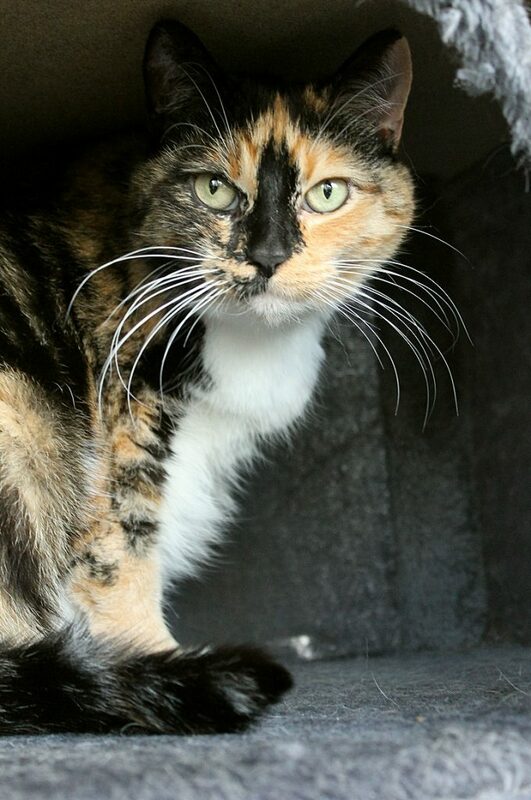 I’m a very loving 9-year-old kitty and I just can’t wait to meet you! My first inclination when someone walks into the Pixie cattery is to pop my head out and say hello — hoping for some pets, of course! I will happily rub up against you and purr, purr, purr away. I have an adorable round body but am overall a pretty petite cat, just perfect for laps. I came to Pixie after my former person lost their home, but it’s obvious I was very well-loved and cared for up until now since I am very confident and don’t shy away from people at all. 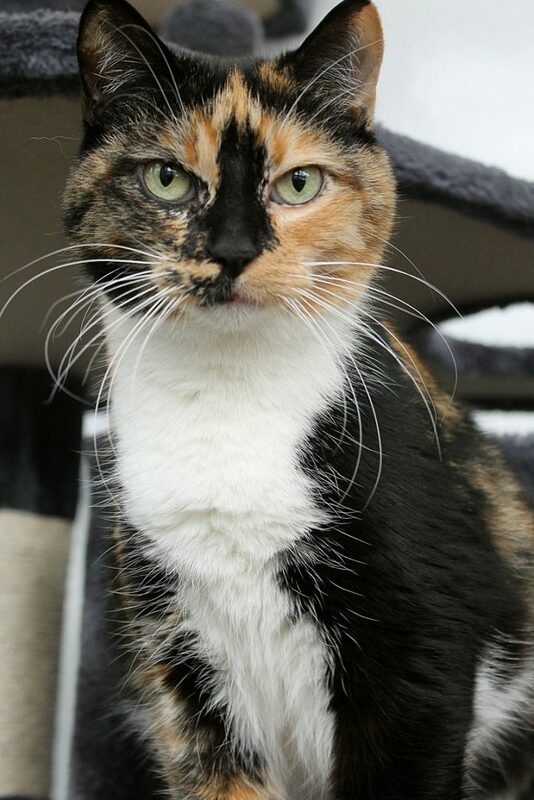 I lived with another kitty before and am living peacefully among other cats here at the shelter, but I’m pretty independent and I certainly wouldn’t mind being your one-and-only feline. I’d make a wonderful best friend, so you won’t miss having another kitty around with me at home! I’ve lived my entire life indoors and would make a great apartment kitty as well as a wonderful family cat. So far, I haven’t been bothered by children and am a very social and tolerant lady. As long as I get lots of love, I’ll be one happy girl! Pixie has already done bloodwork on me and I’m in fabulous health — so I’m ready for my new family! Won’t you come meet me soon? I can’t wait! I come to you fixed, vaccinated, and micro-chipped for an adoption fee of $100.